The underlying principle of all business is pretty simple, really: buy low and sell high. For our purposes, though, we might amend that to say this: buy low enough that rents exceed mortgage payments and upkeep expenses. So the goal is figuring out how to find cheap investment properties for sale in Charleston, SC. A quick search online will turn up scores of tricks and tips for finding cheap investment properties. But if you’re anything like us, you probably don’t have time to wade through all that just to find the gems. Let’s look at three keys, both obvious and not-so-obvious, to finding the kind of investment properties you’re looking for. Although many people consider it too big a hassle to deal with, investigating bank-foreclosed property is a tried-and-true way to find cheap investment properties for sale. To find out about foreclosures in your area, you can talk to some local real estate agents. The thing that works in your favor with foreclosures is that banks are in the business of lending money, and they don’t have the interest, time, or resources to be property managers. What this means is that banks are often willing to negotiate and offer substantial discounts to get the property off their hands and the deal off their books. You just need to know how to go about buying foreclosures the right way. Another thing that can work in your favor with bank-foreclosed properties is that the foreclosure process can take a long time, sometimes years. A foreclosed property, then, may often need considerable repairs and/or updating. So if you’re willing to do a little work, it can mean a good deal for you. One thing to keep in mind when you search online for cheap investment properties is your search criteria. Many of the online real estate search platforms list, by default, “most expensive” first in the yielded search results. What you need to do, then, is set the search criteria to “cheapest first” before running your search. It’s simple, but it’s something we often forget to do. 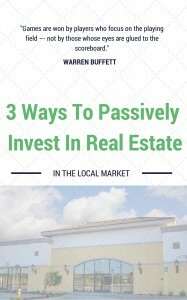 If how to find cheap investment properties for sale in Charleston, SC really is your concern, then one of the best things you can do is to look for properties with absentee owners. Absentee owners are people who own the property but don’t live there. Your goal is to get to them and make an offer before the property is listed. There are a couple of easy ways to find absentee-owner properties. The first way is just to drive around. That’s right – just drive around the area of your interest and look for houses that seem to be vacant. You can then use public online records to track down the owner and make an offer. You can also check the for-rent listings by small-time landlords in your local classifieds or on Craigslist. Then you just contact them and let them know you aren’t really interested in renting but would like to discuss buying. Sometimes it pays off. Absentee owners are often people who have inherited a property or are disgruntled landlords who are tired of the whole business. In either case, they very often are ready to sell the property, sometimes desperately, without the hassle of going through a realtor. So if you can approach them privately and early on, you just might be able to purchase the property pretty cheaply. If you’d like to discover more about how to find cheap investment properties for sale in Charleston, SC, just give us a call at (843) 900-HOME or fill out the form on our website.